The Alaskan cruise. It's a bucket list item for a lot of people – and for good reason! Alaska truly is “the last frontier” when it comes to the United States. After having been on two separate cruises to Alaska with my family now, I want to share with you everything you need to know to make the most of your Alaskan cruise. 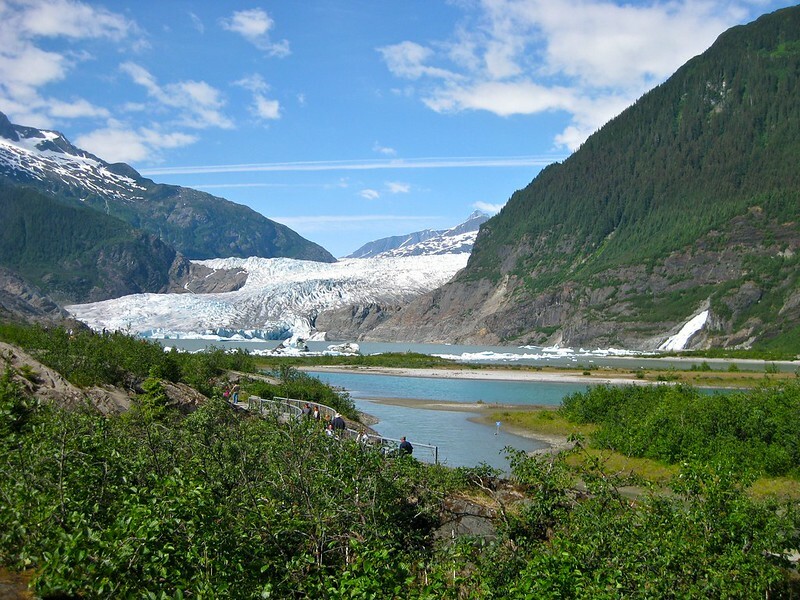 If you’re planning a cruise to Alaska in the near future, the first thing you need to know is that this will not be like any other cruise you’ve taken (unless, of course, you’ve already been on an Alaskan cruise before, in which case it will be exactly like that one). 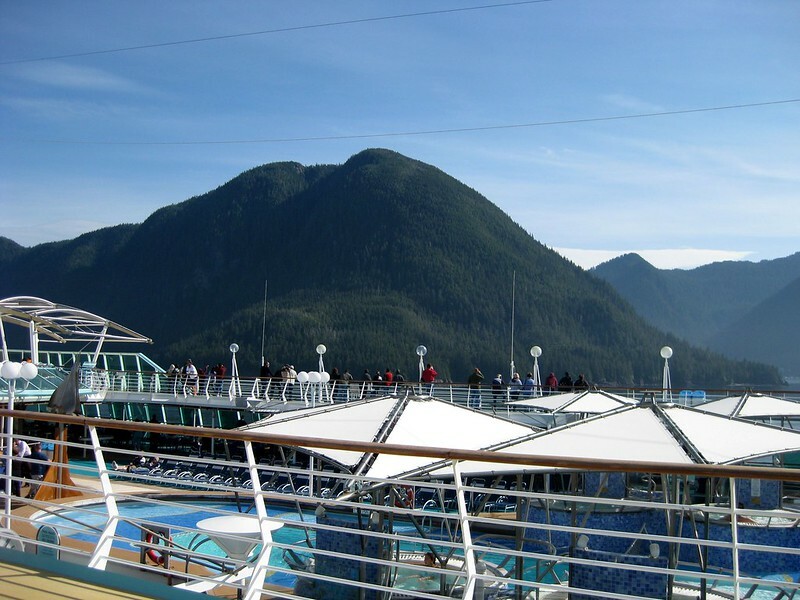 Unlike cruises to Mexico or the Caribbean, a cruise to Alaska will not find guests whiling away the day basking in the sun on the pool deck or partying until all hours in the various ship bars and lounges. I think a big part of this is due to the demographic on Alaskan cruises. You won’t find many young families, and you certainly won’t find many spring breakers (which makes sense, since cruises to Alaska only run from May to September). The standard Alaskan cruiser is older, perhaps a bit slower-moving, and perfectly content to sit indoors listening to music or reading a book. 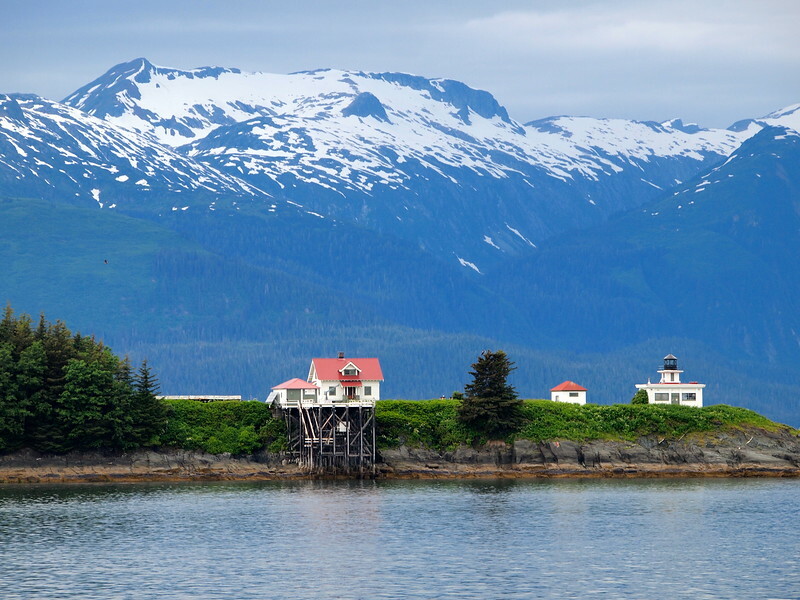 This may not seem ideal if you're a younger person, but the good news is that the majority of your time on an Alaskan cruise will be spent in some of the most beautiful port cities I’ve ever been to. Every cruise line will provide you with some sort of daily guide of all the activities going on around the ship. On Royal Caribbean, they’re called your “Cruise Compass.” These can be really valuable to you, keeping you in the loop regarding activities and shows onboard your ship. While you may have no interest in playing Bingo for hours (and believe me, there will be hours of it), or looking at pricey jewelry you will never be able to afford, other things will still be worthwhile. For example, my sister and I participated in ballroom dancing classes, and checked out the nightly karaoke. There were also things like towel-folding classes (to learn how to make those cute towel animals, you know? ), cake decorating, digital camera seminars, and lots of things to do with spa treatments and pampering. Plus, the casino was basically always open. Even if it’s not “your thing,” why not give it a try? Your cruise guide will likely list at least one entertainment option for each night you’re on board the ship. These can range from Broadway medley shows to ballroom dancing showcases to comedians and jugglers. Support the entertainers on the ship and check a few of these out. You’d be surprised at the talent you can actually find on a cruise ship. You’re cruising to Alaska, which probably means you’re going to be sailing through some pretty stunning landscapes. If the weather is fair, claim a chair on deck or inside near a window and just enjoy the view. So many of us are so concerned with constantly being on-the-go when we’re traveling, but this is a perfect opportunity to just relax and watch the sea and snow-capped peaks glide by. Since there probably won’t be a ton of nightlife available on your ship anyway, turn in early so you don’t sleep half the day. Some of the best parts of the days at sea (sailing through the Inside Passage and through Tracy Arm Fjord, and sighting whales and wildlife) took place before 8 a.m. I love meeting new people when I travel. And a cruise ship, where the staff and your fellow cruisers can represent dozens of countries from around the world, is the perfect place to make some at-sea acquaintances. Chat up your table mates at dinner, your stateroom steward, or even random couples you see at the bar. You’d be surprised what a small world it really is. If you’re traveling with your family like I was, making a friend or two onboard can give you a good excuse to opt out of constant familial bonding time. Since you’ll likely have some free time at sea, use some of this to plan out what you want to do once you stop in port. You may only get 8-10 hours or so in any given port city, and let me be the first to tell you that this will never be enough. So, in order to make the most of your time, have an idea of what there is to do and see in each place. Book shore excursions ahead of time on the ship to ensure that things run smoothly. Yes, these can get pricey. But come on, you’re already on a cruise. Get a passport. After booking your cruise (or even before, to be safe), apply for a passport if you don’t already have one. Most cruise ships require passports for all passengers these days, especially if you’ll be stopping in any foreign ports. Don’t wait until the last minute, or you may watch your ship sailing away without you on it. Pack accordingly. 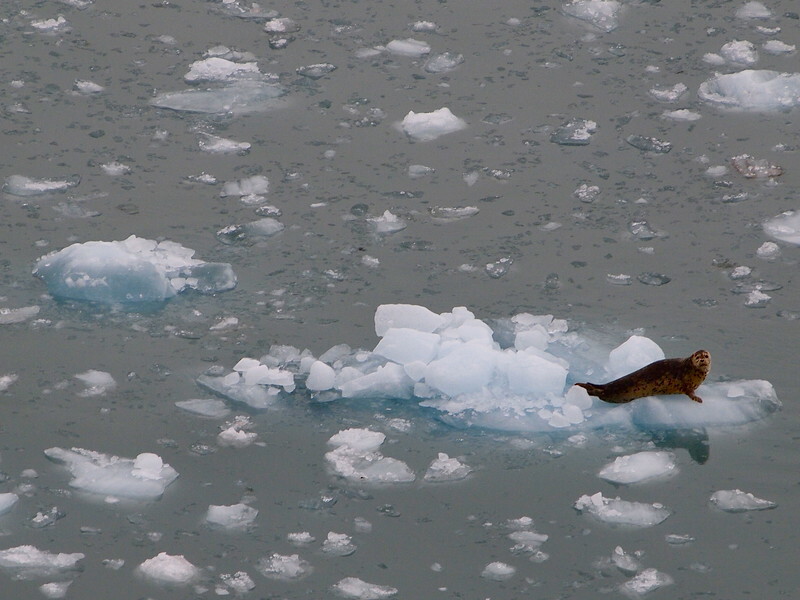 Thanks to chilly temperatures and those pesky little things called icebergs, ships don’t sail up to Alaska in the fall, winter, or even spring months. Cruises up the Inside Passage kick off sometime in May, and generally run through the end of September, depending on the cruise line. But just because you’re sailing in the summer doesn’t mean you should pack shorts and your bikini. Summer temperatures in Alaska can vary – from 40 degrees on a wet and windy day to 75 degrees on a clear and sunny day. I experienced both, and was very thankful for my hat and heavy coat on that wet and windy day sailing through Tracy Arm Fjord, and likewise thankful for my sunscreen in warm, sunny Juneau. My advice? Pack lots of layers. That way, you’re prepared for any type of weather. And go ahead – pack the swimsuit, too; the pools are heated, after all. Get formal. While on the subject of packing, be sure to find out how many “formal” dinner nights you’ll have on your cruise. Usually most large ships will have at least one, maybe two. (Royal Caribbean had two. But Norwegian, with its “freestyle cruising,” very rarely has any.) If you do end up with a formal dinner on your itinerary, take the opportunity to get all gussied up before eating a tasty meal. You’ll probably even get your photo taken with the captain. Don't get seasick. If you’re prone to seasickness, definitely plan ahead to pack some Dramamine, Bonine, Sea Bands, or whatever else it is that you use to combat motion sickness. Sailing along the outside of Vancouver Island on the open Pacific can get rough, sending you stumbling about the ship like a drunkard (or maybe that’s the alcohol?). Just pop a Dramamine (I go for the “less drowsy” kind) in the morning to ward off any potential risk of queasiness. The worst thing is to be sick on your vacation. Bring the walking shoes. Lastly, if you’re planning to really explore the ports you stop in (which I’d definitely recommend), pack at least one good pair of walking shoes. In Alaska especially, there are endless opportunities for walking and hiking. Take advantage, but take care of your feet, too. And, most importantly, go into your cruise with an open mind and the expectation that you’re going to have a great time. A vacation (of any sort) should be fun, after all! Let loose, get crazy, and make sure you have plenty of photos and stories to share when you get home. 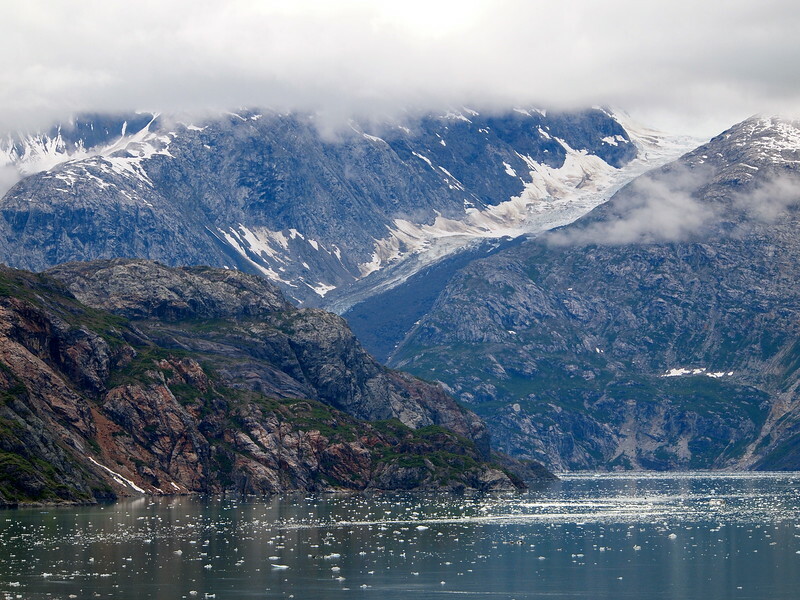 Have you ever been on an Alaskan cruise? Weather-wise, sounds just like a typical NZ summer, South Island-style! This is definitely on my to-do list. I would love to go on cruise through Alaska. Sounds like the perfect way to see the state. Good tips for younger travelers looking to enjoy the sleepier cruise. hi! great article. i was wondering if the cruise allows babies less than 6 months? we are planning to bring our 3 month old with us and is it kid friendly to travel to alaska? thanks! I have no idea regarding whether cruise lines allow babies under 6 months – you would need to contact them and ask! Great blog post, we just spent 4 weeks in Alaska. We loved, loved , loved our Uncruise. It’s from the more adventurous travelers but it was amazing. We also explore off the cruiser path and it was worth it. 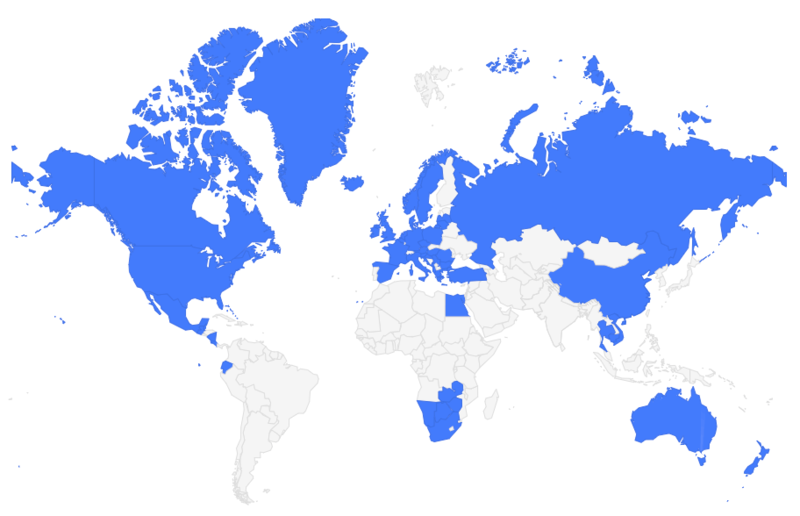 Great post and hope our paths cross soon, Next stop for us is Fiji!